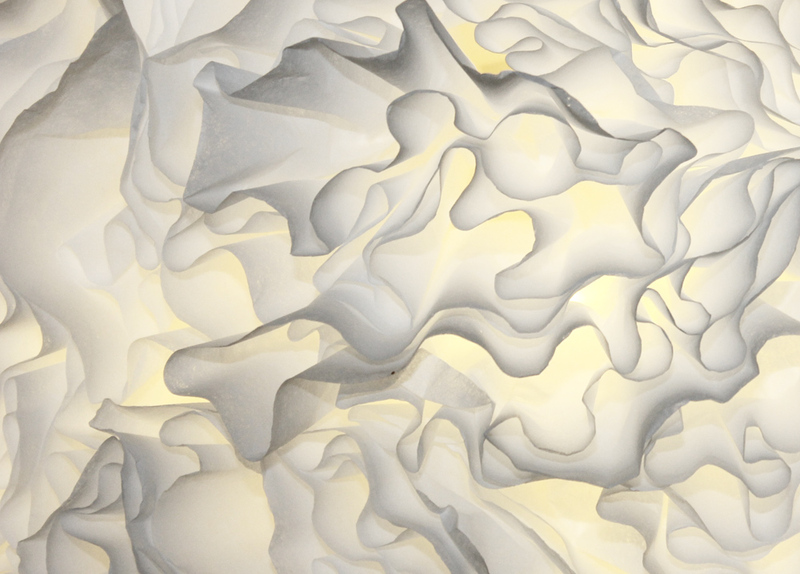 I have always been fascinated with handmade lighting, especially if it involves paper. You may recall the blue paper flower with LED lights I made a while ago, or the various vellum paper lanterns I made for myself and for my friend Belinda. Anyway, this lighting project is a bit different. I still used LED string lights to light it all up, but instead of card stock paper, vellum or tissue papers, I used coffee filter paper. 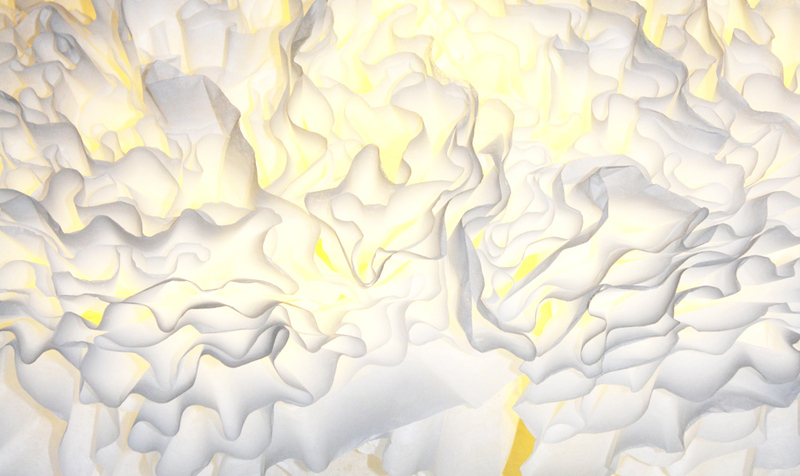 Coffee filters are cheap, wonderfully fluffy, pliable, half-opaque, half-translucent and best of all, light. They do not weigh the finished piece down. 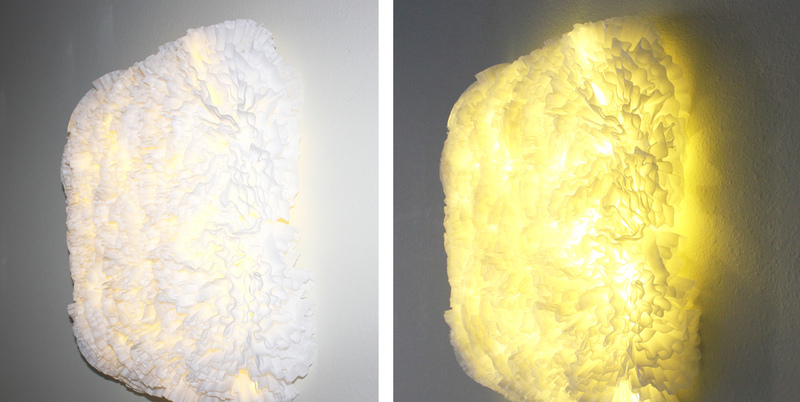 For an amateur handy-person like myself, and I cannot stress the word "amateur" enough, hanging this paper/light sculpture on the wall was easy breezy. I hammered a couple of nails and hanged the piece using a bit of wire. Much easier (and lighter) than hanging massive pictures, or posters. Here are the steps for making it. Arrange the lights on the canvas and sew them in place. 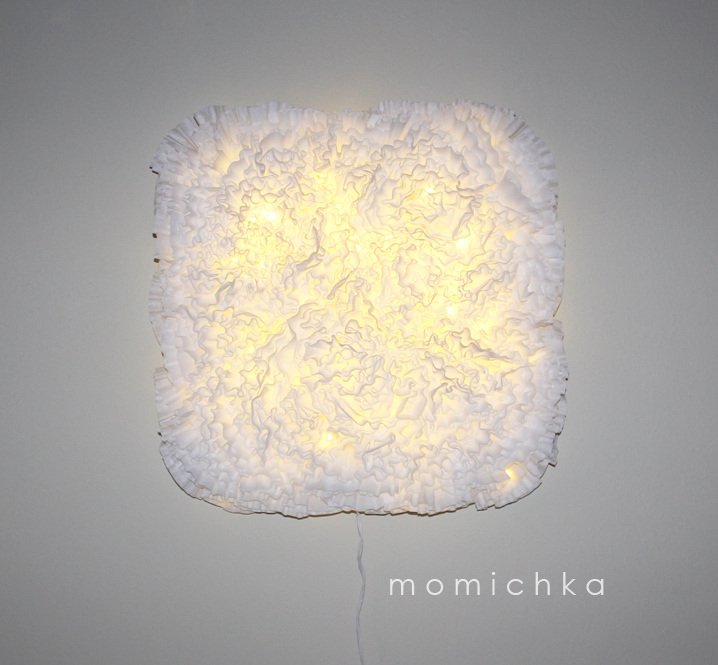 Fold a coffee filter like in the pictures and glue it on the canvas, careful not to touch the lights. Do this with 150-200 coffee filters and see if you need any more to cover the holes (if any). Add wire at the back of the canvas and hang on the wall. Here are some more pictures of the finished piece, currently hanging on our dining room wall. Marija - This is just awesome! I love it and I think that you can sell that last photograph as a print too - great photo. You're so kind, Belinda. Thank you! !